Researchers have identified a gene that causes deafness in the elderly. The research was carried out by Dr.Shinichi Someya and colleagues from the University of Wisconsin and other universities in the US and Tokyo. The study was funded by the National Institutes of Health in the US, the Ministry of Education, Culture, Sports, Science and Technologies in Japan and the Marine Bio Foundation. Two of the researchers have filed a patent for any future treatments that use Bak inhibition for age-related hearing loss. The study was published in the peer-reviewed scientific journal Proceedings of the National Academy of Sciences of the United States of America. The reports gave generally accurate and balanced reports of the study, and both say that a drug treatment making use of this genetic discovery is a long way off. The researchers found that 15-month-old mice lacking the Bak gene had better hearing than normal mice of this age. Mice lacking Bak had less loss of nerve cells and hair cells in the ear than normal mice. The researchers showed that in normal mice, more nerve cells and hair cells were self-destructing than in the mice lacking Bak. Feeding the mice certain antioxidant chemicals (a-lipoic acid or coenzyme Q10) reduced the activity of the Bak gene in the ear cells and slowed the development of AHL. This study has identified a role for the Bak gene in age-related hearing loss (AHL) in mice. 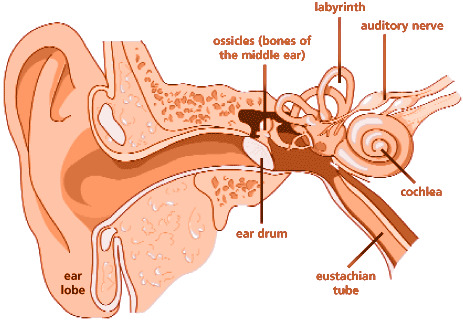 The gene may play a similar role in humans and further studies in human ear cells will help confirm this. Due to the differences between mice and humans, it is not clear whether taking supplements containing a-lipoic acid or coenzyme Q10 (which reduced the activity of the Bak gene in the mice) would help to reduce AHL in humans. Studies in humans would be required to determine if this is the case.